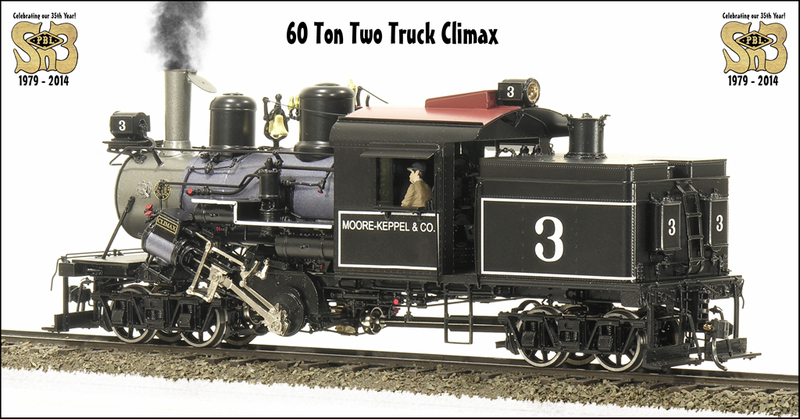 The 60 ton Two Truck and 70 ton Three Truck Climaxes have arrived at P-B-L ! With the prototype for our 60 tonner living just north of us in Willits, California at the "Roots of Motive Power" museum, we could hardly miss! Days spent photographing and measuring and drawing each and every part of this machine has resulted in a model of great accuracy! One look will tell you that this IS the Pacific Lumber Company #38 ! (Formerly Holmes Eureka Lumber Company #4...) Even if you are only casually interested in logging prototypes, click this link and be prepared to be impressed! Great stuff in the Scale Modelers Scale of Choice from P-B-L... Naturally! We're P-B-L.. This is what we do... Come and see for yourself ! Click on any photo for more info about that version! Click on any photo for more views and info! These models are simply amazing! They truly demonstrate that our pal Se Ho hasn't lost his touch! O'course, the fact that he came over here for a fun trip to Willits with us, (which included pizza and beer), certainly helped! In fact, having the Holmes-Eureka #4 that close to home truly was a real help because these models we have here in hand ARE the HOLMES EUREKA #4... As in spot on! Real "Ring and Pinion" Hypoid (Spiral bevel) Gears! Real MicroMotor drive (with internal gear reduction)... Full coasting action! 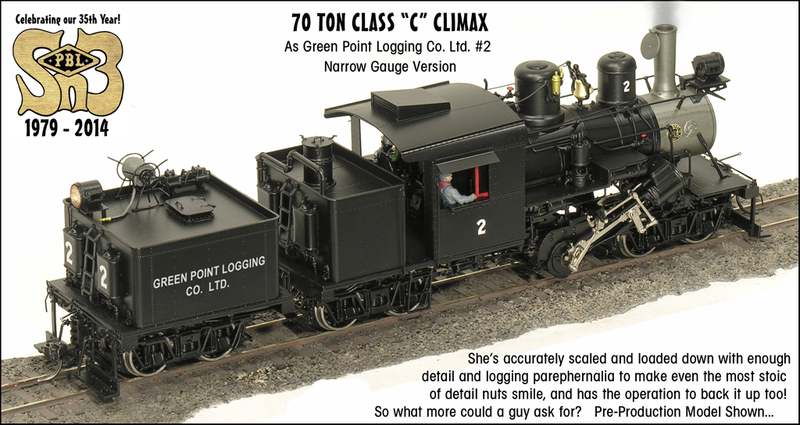 Available in either Standard or Narrow Gauge "S" Scale! Dial 707-462-7680 to talk to a REAL PERSON ! Really !